European ASP.NET MVC 3 Hosting - Amsterdam :: It is an error to use a section registered as allowDefinition='MachineToApplication' beyond application level. This error can be caused by a virtual directory not being configured as an application in IIS. Error 1 It is an error to use a section registered as allowDefinition='MachineToApplication' beyond application level. This error can be caused by a virtual directory not being configured as an application in IIS. You can find the resource error on http://stackoverflow.com/questions/5161511/mvc3-strange-error-after-switching-on-compilation-of-views or forums.asp.net. Its always a good idea to compile your Razor views. The reason being that errors within a view file are not detected until run time. 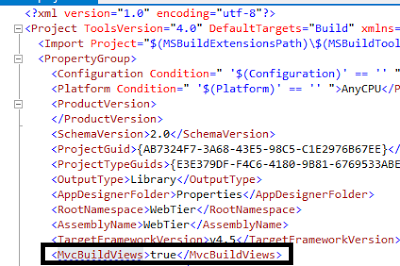 After enabling MvcBuildViews you may find that error above. Turns out that this problem occurs when there is web project output (templated web.config or temporary publish files) in the obj folder. The ASP.NET compiler used isn't smart enough to ignore stuff in the obj folder, so it throws errors instead. One of the more interesting things had to do as part of building XAPFest was handle bulk image uploads for screenshots for applications and user / app icons. Most of the challenges here are UI-centric ones (which resolved using jQuery File-Upload) but the one security challenge that remains outstanding is ensuring that the content uploaded to your servers is safe for your users to consume. Fortunately this problem isn't too hard to solve and doesn't require much code in C#. So what's wrong with these techniques? The issue is that both the file extension and MIME type can be spoofed, so there's no guarantee that a determined hacker might not take a js. file, slap an extra .png extension somewhere in the mix and spoof the MIME type. Every file format has to follow a particular codec / byte order convention in order to be read and executed by software. This is as true for proprietary formats like .pptx as it is for .png and .gif. You can use these codecs to your advantage and quickly tell if a file is really what it says it is - you quickly check the contents of the file against the supported formats codecs to see if the content fits into any of those specifications. All this code does is read the Stream object returned for each posted file into an Image object, and then verifies that the Image supports one of three supported codecs. This source code has not been tested by security experts, so use it at your own risk. If you have any questions about how this code works or want to learn more, please drop me a line in the comments below or on Twitter. The other important catch to note here is that move the Stream's pointer back to the front of the stream, so it can be read again by the caller which passed the reference to this function. One of the most important features of ASP.NET MVC 4 is the introduction of the new ASP.NET Web API, which simplifies REST programming with a strongly typed HTTP object model. In addition, ASP.NET MVC 4 takes advantage of the new asynchronous programming model introduced with .NET Framework 4.5 to allow developers to write asynchronous action methods. It is important to understand the advantages and disadvantages of the new asynchronous methods to use them whenever they will provide a benefit. Asynchronous execution is the future of Windows development : it has been largely demonstrated during the //Build conference two weeks ago. To allow the MVC engine to manage asynchronous operations and pass the result to the view engine, developers had to use the propery AsyncManager of the AsyncController. The “completed” method parameters was passed by the MVC engine through this object. It’s not really complicated to create an asynchronous controller but ASP.NET MVC 4 and C# 5 with the new async and await keywords will make it easier ! As you can see in the previous code snippet, in ASP.NET MVC 4 you always should inherits from AsyncController but there is no more naming conventions, no more Async/Completed methods, no more AsyncManager and the action returns a Task instead of an ActionResult !